March 2, 2019 Live the ADVENTURE! It doesn't happen without you. The University of Scouting is a one-day leader training program designed to provide ideas and resources in areas to benefit your Pack, Troop or Crew. 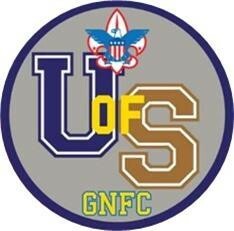 The University of Scouting is offered once a year to assist ALL Scouts and Scouters in their Scouting positions. All Adult Volunteers. This includes Cub Scout, Scouts BSA, and Venturing Leaders, Commissioners, District and Council Level Volunteers, and all other Scout Volunteers. Also Boy Scouts and Ventures ages 11 and up. Kids Club Day Camp for kids 4-10. University of Scouting recommends a FULL Uniform. Other than a desire to learn, you may want to bring a pen and paper for notes, and a coffee mug. If for some reason we have to cancel the University due to weather, please watch any of the major TV stations (2, 4, or 7) or listen to WBEN (930 am). If Erie Community College North Campus is closed, the University of Scouting Event is cancelled.